Smarter. Faster. Mobile. 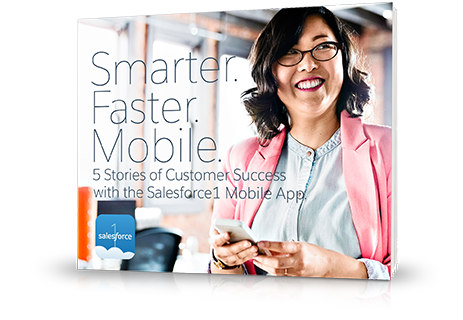 5 Stories of Customer Success with the Salesforce1 Mobile App. See how 5 top companies are implementing mobile strategies that revolve around customers and increase sales. Sign up today for this free e-book.